*My* three barrel shot-gun. 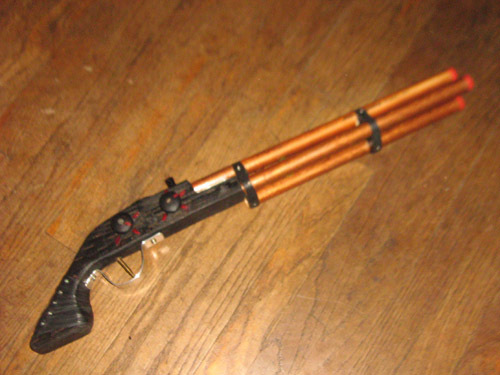 Little did I know, whilst building it, that there is a legendary three barrel shot-gun in steam-punk lore. Yes, the barrels rotate and the bolt locks them, as it should be.